Just out! The first Sudoku book from Cute Huur. 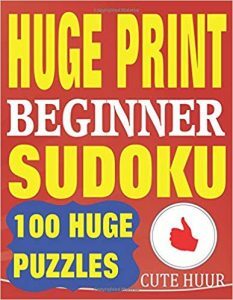 It’s perfect for beginners or those who love easy large print Sudoku puzzles. Two puzzles on each page in this large 8.5 x 11 inch book which is great for anyone who has eyesight problems. It’s a great gift for anyone who loves puzzles! Huge Print England Placenames Word Search Large Print Book now available. 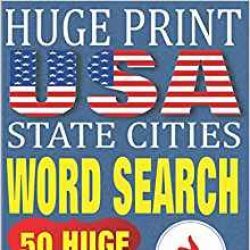 Huge Print USA State Cities Word Search is now released on Amazon.